Verizon and the Disney and ESPN Media Networks Group today announced that an agreement has been reached to provide Verizon FiOS customers the new authenticated services WATCH ABC, WATCH Disney Channel, WATCH Disney XD and WATCH Disney Junior, as well as the yet-to-be-launched WATCH ABC Family service. Verizon will also add Fusion, the upcoming news, information and lifestyle multiplatform network for Hispanics, the youngest and fastest-growing demographic in the U.S. The English-language joint venture from ABC and Univision is set to launch later this year. "Adding WATCH Disney and WATCH ABC programming today, as well as the Fusion and WATCH ABC Family offerings soon, is the perfect addition to our 'TV Everywhere' lineup for FiOS customers, now up to 53 partner channels," said Maitreyi Krishnaswamy, director of FiOS TV product strategy and development. "Whether you are watching your favorite shows in the family room, in the car, on vacation, on the plane or at grandma's house, TV Everywhere is what it's all about. And nothing says family and FiOS like Disney." David Preschlack, executive vice president, affiliate sales and marketing, Disney and ESPN Networks Group, said, "As our portfolio of services has expanded to include innovative authenticated services as well as the upcoming launch of Fusion later this year, we're pleased to broaden our existing long-term agreement with Verizon. 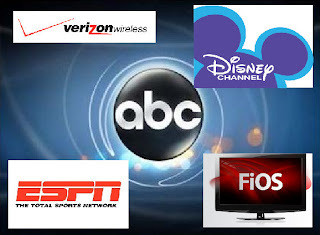 There has been much consumer demand for the new authenticated WATCH Disney and WATCH ABC products, and we're excited to make them available to FiOS customers starting today." With access to a broadband connection, FiOS TV customers can log on to the My Verizon portal and with their user name and password, watch a variety of programming from the WATCH ABC and WATCH Disney offerings simply by clicking on their program of choice, anywhere they wish -- on laptops, Apple or Android tablets or smart phones. FiOS customers now have access to 53 TV Everywhere channels with the WATCH ABC and Disney additions. The recently launched authenticated WATCH ABC service -- which is currently available in New York, Philadelphia, Los Angeles, Chicago, San Francisco and Raleigh-Durham -- with launches planned for Houston and Fresno, Calif., this fall. The new service, for the first time, provides viewers with live access to their favorite ABC shows and local market programming, as well as a variety of on-demand content, in more ways than ever before at home and on-the-go around town. In addition to allowing live linear streaming of viewers' local ABC stations, the new service will include the great, on-demand full-episode viewing experience that the ABC Full-Episode Player and ABC Player app have offered online and via tablets and phones. Viewers can access WATCH ABC online at WATCHABC.com or by downloading the WATCH ABC app on their iOS and Kindle Fire devices, as well as on select Android tablets. The suite of authenticated WATCH Disney products including WATCH Disney Channel, WATCH Disney XD and WATCH Disney Junior. Downloaded more than 15 million times in the past year, the three WATCH Disney products provide authenticated users with access to live, linear network streams as well as an extensive offering of advantaged window on-demand episodes. Fusion, the ABC-Univision English-language joint venture, scheduled to launch later this year. Capitalizing on Univision's news leadership and expertise in reaching U.S. Hispanics and ABC's global news leadership to serve more than 50 million Hispanics, Fusion's programming will focus on the issues most relevant for U.S. Hispanics, including the economy, entertainment, music, food, immigration, pop culture, education, politics, and health and wellness.